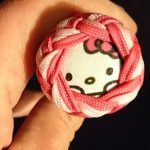 Grab an adorable Hello Kitty Sjambok to add to your collection! 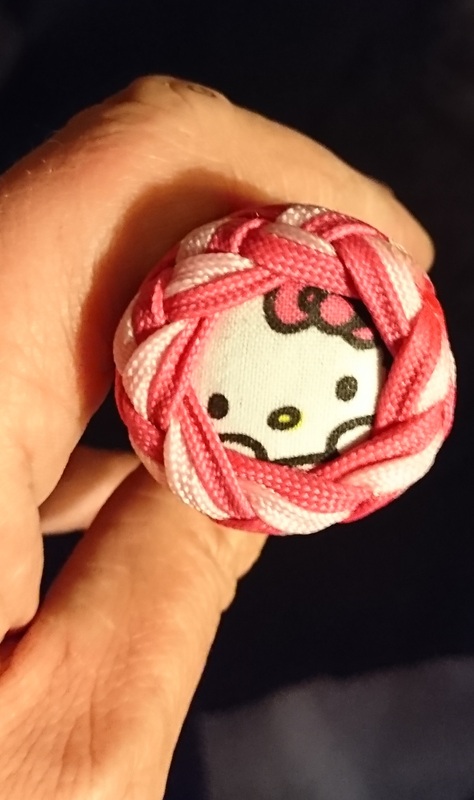 They may be (super) cute, but this is what happens when good kittys go bad …..
take one Cold Steel 54inch Sjambok remove the Kraton handle which even with my big hands I find a little bulky shorten to 85 cm over all and apply a 16 plait handle with a couple of finishing knots and a “that damn cat” concho..and well ….. when good Kittys go bad .. 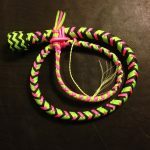 In Africa, the Sjambok (Sham-Bawk) is a cattle prod, a whip and a riding crop. 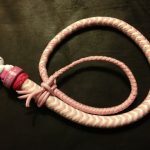 Unlike most western style whips, the Sjambok is not plaited from thin leather thongs. Instead, it is carved whole out of very thick Hippopotamus hide. It has considerable reach, lightning speed and is often used as a sure defense against deadly snakes. 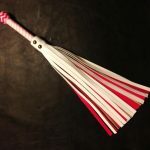 Since the Sjambok is swung like a rod or stick and not cracked like a conventional western style whip, the weight, speed and flexibility of the Sjambok’s lash does all the work and little skill is required to wield it effectively. Today Hippo hide is pretty scarce and not commercially viable, so Cold Steel has decided to make a synthetic version of the classic Sjambok. Featuring a thick, beefy lash, injection molded from polypropylene, our synthetic Sjambok rivals the look and performance of even the most expensive originals. What’s more since it’s made entirely from super tough plastic it’s impervious to the elements and will never break, crack, shrink or mildew like leather is prone to do. Made to order, see our custom order waiting times. Can’t find the whip style you’re looking for? You can ‘Kittify’ any of our whips by choosing the Hello Kitty concho from our Personalisation page and your preferred Kitty Kolours from our custom whip sections. 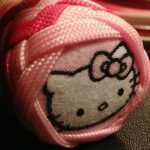 Be the first to review “Hello Kitty Sjambok “kitty Bok”” Click here to cancel reply. Join our mailing list for an immediate 10% discount coupon and entry into our monthly prize draw! Impact-Toys.com © 2019. All Rights Reserved.